As midterm elections in the US nears, university student interest is at an alltime high but casting an absentee ballot in their home districts remains cumbersome. 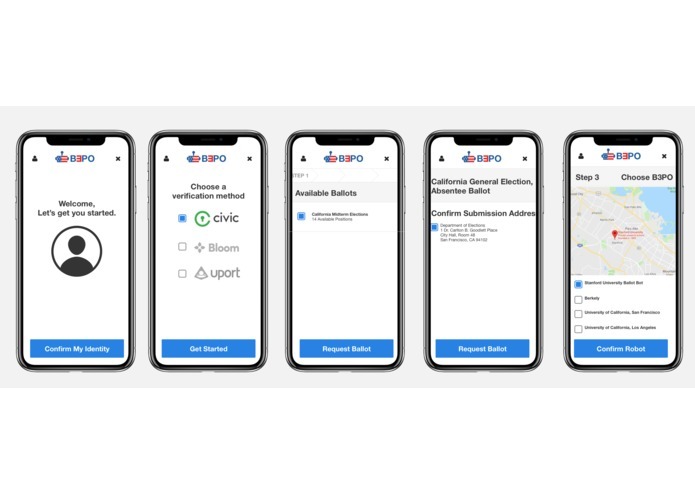 We used chainlink as an oracle for ballot data into a dapp which users can use to securely cast their ballots over ethereum. An open-source C&C robot that holds a pen then fills out the paper ballot on the user's behalf. Cheaper isn't better. Students want to cast absentee ballots from campus back at home, but don't because they don't know where to buy a stamp. Seriously - https://www.businessinsider.com/young-voters-dont-know-where-to-buy-stamps-for-absentee-ballots-2018-9 (I don't know where to get a stamp either). 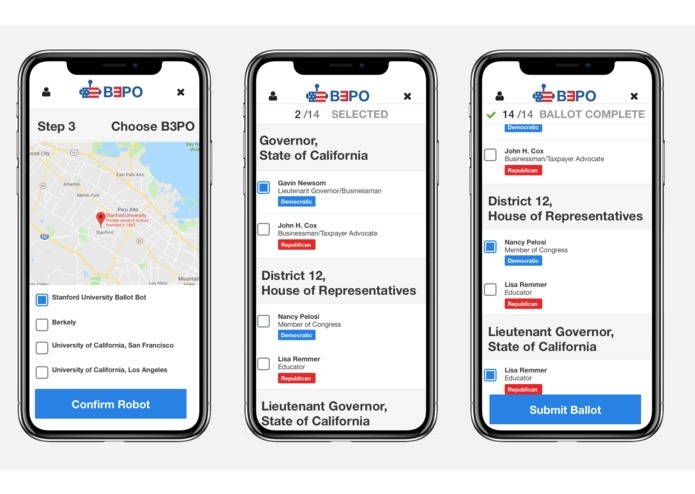 Collaborating with the blockchain dev and robotics communities to continue developing the solution's architecture and processes/methodologies for university groups to build a solution that can help them continue growing voter turnout and student engagement ultimately making them better citizens.